There's something incredible that happens after spending the day in the garden. Whether its the feeling of a great workout, enjoying a digital detox and planting flowers, or feeling accomplished after taming the wall of vines. When you think about it, there is one thing in common with all those great moments. 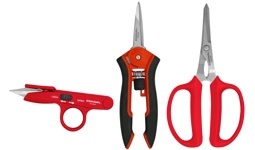 The garden tools you use to make it all happen. 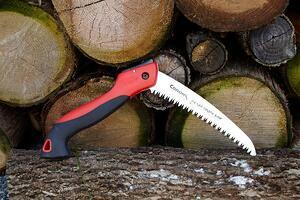 That's right, gardeners know, tools are an important part of making what they do more enjoyable and satisfying. Among the many things I take pride in my garden are my roses. I have collection of hybrid teas and I have the luxury of enjoying year round beauty in my backyard. Last Mother's Day, one of my wife's favorite rose, Marilyn Monroe (pictured right) was in full bloom. I cut an impressive bouquet and gave them to her. Besides having such beautiful fresh flowers which bring her great joy, it made me proud to be able to grow them for her. I Am #CoronaProud. Are You? 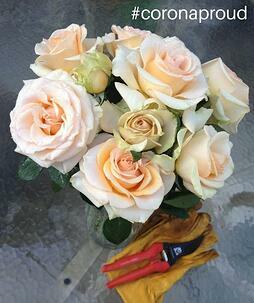 It started me thinking that without the proper tools, I wouldn't have been able to plant those roses in the first place. Or prune them to encourage new growth and blooms. 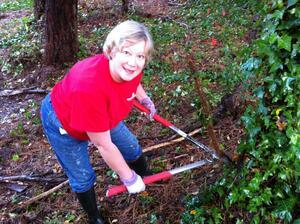 Or scoop and spread mulch to help retain moisture and prevent weeds. I was proud of what I accomplished and appreciated my Corona's for helping me to do it. Yes, I am #coronaproud of what I can accomplish with them. Throughout May, you can share your story with us on Facebook, Twitter, Instagram, Vine, G+ or in comments below. Be sure to use #coronaproud hashtag in any post or posts. 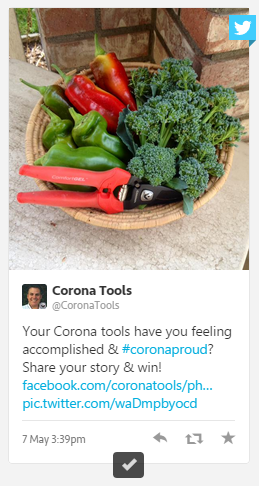 Hit us with pictures of what you planted with your Corona tools. 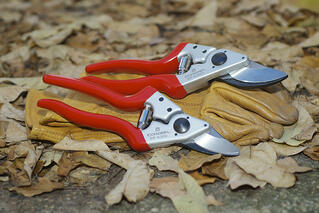 Show us how much pruning you accomplished last weekend with your Forged Aluminum Bypass Pruners. 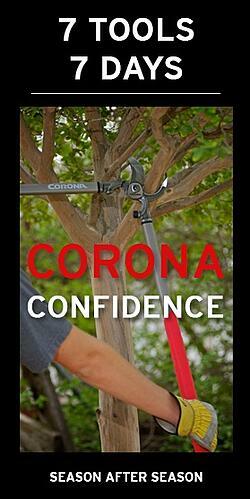 Tell us how your Mother's old Corona tools make you feel like she's there in your garden with you. What ever it is that makes you #CoronaProud, we want to hear from you. Submit as many as you would like since you probably have more than one thing your are proud of. As the winner, your story will be featured in the Season After Season monthly newsletter. 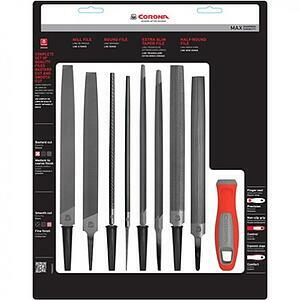 Not to mention a $100 shopping spree on our website for new Corona tools. Not getting Season After Season? Sign up now! Stories are more fun when you can share them with others. We set up a #coronaproud Tagboard where you can see posts across all the social networks too. See who else is #coronaproud and interact with others who share in your passion for what they can accomplish with great tools. What makes you #coronaproud?